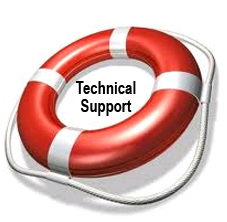 We take our commitment for technical support serious. Our Product Specialists undergo extensive in-house and hands-on factory training from our vendor/partners. This helps to insure you'll receive the best and most efficient service. In order to provide top level support for our customers our free technical support is available to the original purchaser. Product must be purchased from BESTBLANKS. Free technical support is not transferable. BESTBLANKS will make best efforts to help resolve its customers technical problem. If needed, BESTBLANKS will also assist customer with manufacturer to help resolve the technical issue.